Now, whenever Mary Lou came to eat, or even when she came just to get coffee or a snack some other time of the day, usually earlier, and whether or not she came alone or not, she looked for the young woman. It was as automatic as coming here was, and it wasn't that hard to spot the young girl now. She was so familiar, and the girl's habits were quite common to Mary Lou now too. The young woman was seated over by Chick-fil-A today, bent over her magazine, pencil in her hand. The older woman was not in sight. The two women were Latinas, or so it seemed to Mary Lou. The older one clearly had a Spanish accent when she spoke English. Mary Lou had overheard her speaking to an employee at the Donald's one day. And Mary Lou thought she had heard the older one speak Spanish to the younger one and the younger one speak in Spanish back one day when Mary Lou had encountered them standing up and talking near the entrance to the ladies room when she came out. The older one was clearly in charge. The younger one seemed to follow the orders of the older one in precise detail. It seemed quite evident. They both wore their hair very short, in a pageboy style. The younger one was handicapped. The older one solicited work and kept busy, right there in the mall, mostly in the food court, but also up and down the entire mall. Even just outside. One day, Mary Lou had observed the older one helping unload a truck just outside the food court entrance. It was always for menial tasks; things she would do for anyone who paid her cash or in kind: taking out the garbage for establishments, running orders here and there --- her own freelance delivery service ---, sweeping, vacuuming, cleaning tables, washing windows, refurbishing condiment stations, whatever. Meanwhile, the younger one sat at some table, usually with a drink or a bottle of water at hand, and worked word searches; at least, that's what Mary Lou thought they were. Mary Lou had walked past the young woman a couple of times, trying to check things out more closely. It looked like she was working in one of those word search books as she passed behind her. "I want the orange chicken," she said when she got up to the counter. "I also want a medium Diet Coke." "Do you want it to go or to stay?" It only took a few seconds for the attendant to scoop up some rice, cover it with orange chicken, sprinkle it with a few more sesame seeds, and hand it, along with her Diet Coke, to her on a tray. By that time Mary Lou had made a decision. She would go back to the table she had previously selected, grab her book and jacket and move to the table where the younger woman was sitting. She took the tray. "Thank you," she said. Mary Lou moved quickly to the old table and gathered her stuff and strode off toward the new table where the young girl was sitting. By then, the food court was alive with hungry people, active, talkative, and noisy. There were no empty tables by then. You had to share if you wanted to sit down. She walked off toward the Chick-fil-A area, looking for the young woman. There she was, and her table was empty, except for her. It hadn't taken Mary Lou very long after she had started observing the young woman to notice that something was physically wrong with her. That had been a month or so ago, when Mary Lou had made the discovery that something was wrong with the young woman's right side. Mary Lou hadn't been sitting too far away from the young woman that day, and it had been quite easy to observe her. It was clear that the young woman was left-handed. She only held her pencil in her left hand and never in her right one, which didn't appear to work correctly. Also, the right one was malformed, or it seemed to be. It wasn't that it was missing any of its digits, though, or that there seemed to be scar tissue from an injury or anything like that. It just seemed smaller, less agile, and more curled up. Not as functional. In subsequent days, Mary Lou had observed that not only was something wrong with the young woman's hand, but also something was wrong with her arm and leg on the same right side. 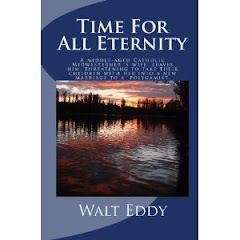 Mary Lou had watched as the young woman's older companion had come over to talk to her, and then watched as the younger woman had stood up and walked to the restroom. There was a distinctive limp as she went. Her foot was canted in and seemed twisted. Her gait was distinctly different than a normal person's. Not only was something wrong with her body, but something seemed to be wrong with her otherwise. It was as if she was having occasional blackouts. Maybe they were seizures or something akin to. She would blank out mentally at the weirdest times and without any reason or explanation for it. She would be sitting there, working on her word search, or sometimes taking a break from her word search just to look around the mall, when suddenly, she would blank out. Her pencil would drop from her hand, her face would distort, and sometimes she would stiffen and tremble a bit. It would go on a minute or two and then she would be fine. She would pick up a pencil and go back to work on the puzzle. "May I sit down?" Mary Lou said when she reached the table. The young woman looked up and nodded at her. "Please do," was all she said. She smiled and looked back at her word-search magazine. Mary Lou didn't recall ever having seen anyone sitting at a table sitting with the young woman besides her older companion, who only did so occasionally. "What's that?" Mary Lou said. "Is that some kind of a puzzle book?" "Uh-huh," said the young woman, "it's a word search. I like to do word searches." "How does it work?" Mary Lou asked. The young woman turned the book around to let Mary Lou look at it. "See," the young woman said, "each of the puzzles has a theme. This one I'm working on is kitchen utensils. Here's a list of the kitchen utensil words that might be in this puzzle. So in this here grid of letters" --- and she pointed at it with her left hand --- "you try to find any one of those words and circle it, like this one here." She pointed at the word microwave, which she had circled in the grid. It was spelled out from the bottom to the top, on a diagonal. "Oh, I see," Mary Lou said. "Interesting. And you like to do that?" "Uh-huh. It doesn't seem like I ever get tired of it. Well, sometimes, I guess, but not usually." "Well, my name is Mary Lou. I'm glad that you let me sit here to eat my supper. The food court is kind of crowded today. More than usual. Have you eaten already? I hate to eat in front of you."